hi, i share book that i created that i think it is strong. weird soo. 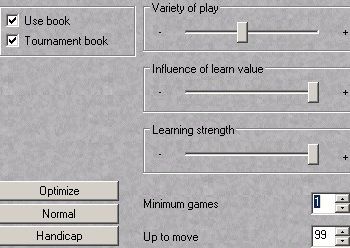 chac what is the reason why u want us to use variety tab in middle and not normal optimize 1/99 or 0/100 like most other ctg books...? This book performed very well in all test so far.Very good job chac. Can u post the link of prodigy 12 the [new] latest version !! ??? is it maurice chac winner of sedat 1st league with his prodigy 12 book?? @Big show wrote: Can u post the link of prodigy 12 the [new] latest version !! ??? is it mean that prodigy 1.0 is older version than prodigy 5? ?